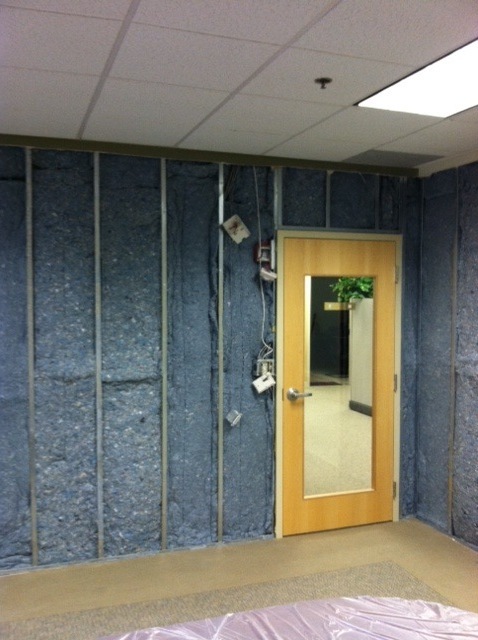 A company in Burlington MA needed to soundproof their wall to make sure the confidentiality of the meetings they held was secure within the room. Along with that, the conversations and noise in the lunch/break room was heard in the conference room during many of their meetings. 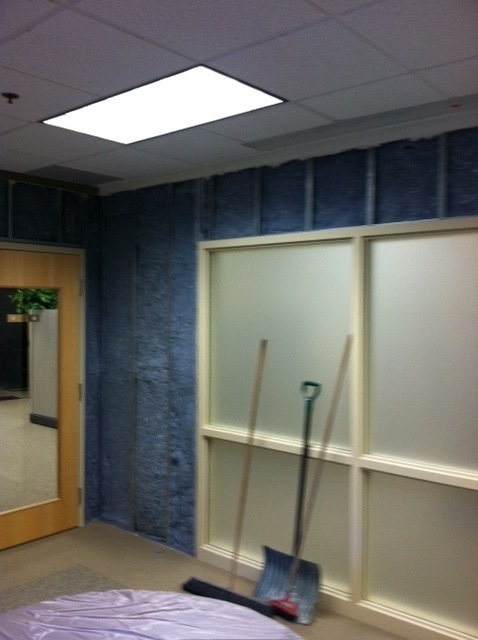 When New England Soundproofing assessed the situation, we could hear very clearly in the conference room, when someone was in the break room talking. The company wanted to make sure that the important meeting being held were not getting disturbed by unwanted noise, along with keeping the privacy within that conference room. 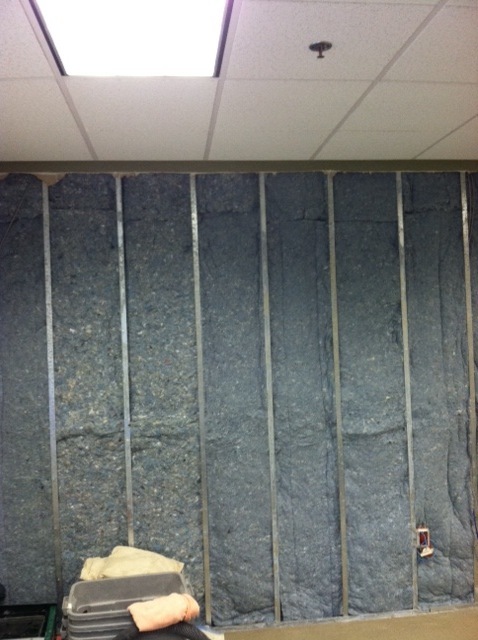 New England Soundproofing recommended to remove the sheetrock and get right to the studs of the wall. From there we would install the Quiet Insul, 1/8’’ Sound Barrier, wrap the electrical boxes with Sound Putty, caulk and tape all the joints with the Acoustical Sealant and MLV Joint tape. 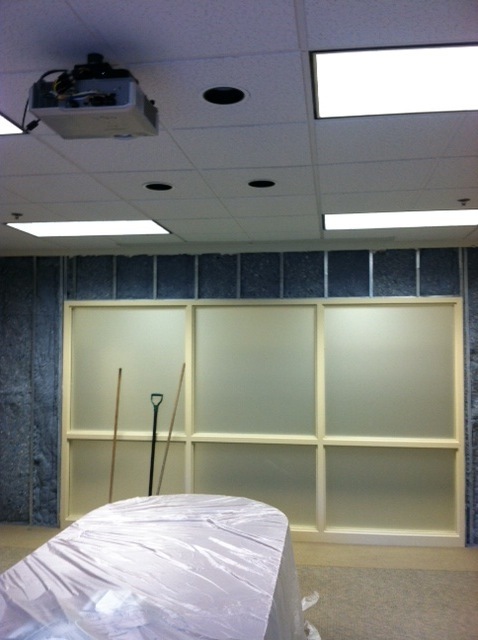 New England Soundproofing not only installed the soundproofing products, but it also put together the wall, including the painting, plaster and finish work to make the wall look like new again. 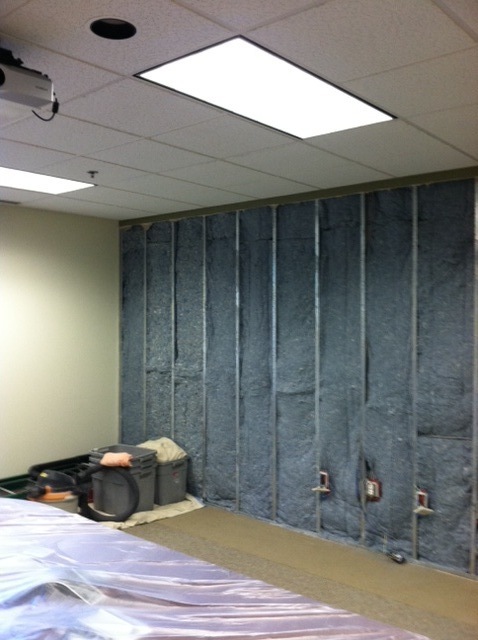 After the completed work, the conference room is now private, and noise cannot be heard from the workers in the break/lunch room. Along with that, the meetings in the room are private and kept within the room. 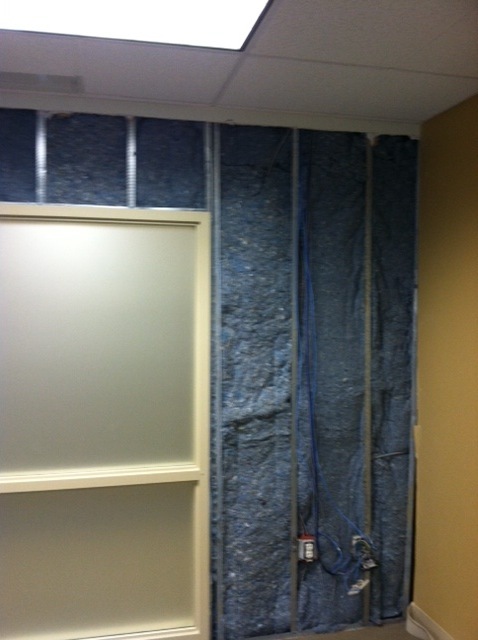 For your next conference rooms, to keep conversations inside the room, or just not to be bothered by people outside of the room, call New England Soundproofing at 781-710-1261 or drop us an E-MAIL today!